The Black Cockatoo Rehabilitation Centre (BCRC) was established in 1998. The Black Cockatoo Preservation Society of Australia Inc was incorporated in December 2006, as a parent association of the BCRC. Run the Kaarakin Black Cockatoo Rehabilitation Centre. Rescue – Rehabilitate and Release injured Black Cockatoos. Preserve Black Cockatoo’s natural environment. Raise awareness of Black Cockatoo’s threat. Co-ordinate approach to Black Cockatoos. Provide an education and learning centre for the study of Black Cockatoos. Provide a research facility in all aspects of Black Cockatoos. Raise money and property for the preservation of Black Cockatoos. 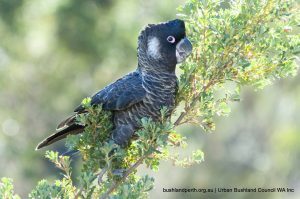 Work with the Black Cockatoo Environment Committee. Work with the Kaarakin Black Cockatoo Education & learning Committee. Work with the Kaarakin Native Flora Group. Work in partnership with other like minded rehabilitators. We (the BCRC) recover (pick up) injured Black Cockatoos from anywhere in WA and transport them to the Perth Zoo for specialist medical care. It is essential to the bird’s survival that they receive this care within 24 hours, ideally within 12 hours. After initial treatment at the Perth Zoo, the birds are released back to the BCRC facility for further treatment and care, prior to being released back into their flocks (intra-family Release) from where they came. If we are unable to find their flock then we will keep them to build and form new flocks to enable soft release of a group into the wild from one of our facilities or another location. 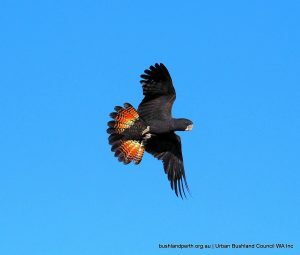 The birds that are unable to be released, (ie “derelicts”) and who are suitable will form a core group of educational Black Cockatoos that can be used by DEC approved individuals to take and use in their displays. We are also working on public awareness and education on the status of Black Cockatoos, and how to obtain first aid for injured cockatoos. We have recently acquired a third facility, which will become our primary rehabilitation centre. It comprises of over 40 acres of land and comes with $2,500,000 of infrastructure. This facility will need a further $5,000,000 spent on it to make it a first class facility and world leader in Black Cockatoo activities. This centre will be the Rehabilitation, Research, Education, Learning and co-ordination point for the Black Cockatoos. We will be extending an invitation to other individuals and groups to work with us to make this work and make those who continue to destroy the habitat sit up and take notice. 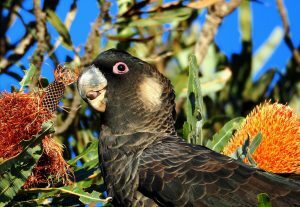 The Black Cockatoo Preservation Society of Australia Inc has forged partnership with Wild Life Australia Inc, who are looking after the remaining wildlife left on our new facility. Glenn PW Dewhurst, President Black Cockatoo Preservation Society of Australia Inc.